Pink and Brown combo in this multi-strand bracelet. 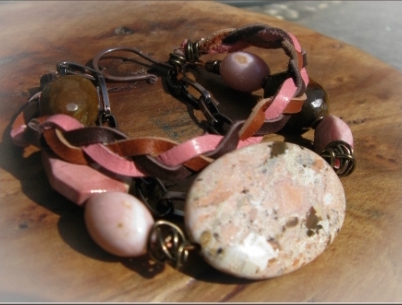 Pink Peruvian opal, mookite, agate focal with copper chain and braided leather lace. Fits 7” – 7 1/2″ wrist comfortably. 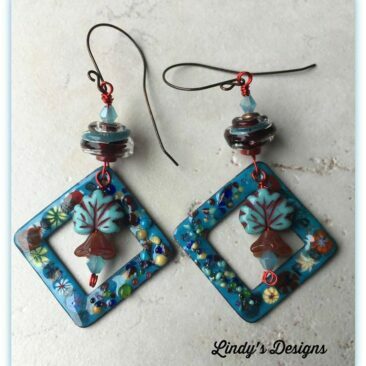 All Lindy’s Designs jewelry will come gift boxed. Wonderful soft teal leather with Sari Silk in beautiful teal and green. Hammered Slide accent. 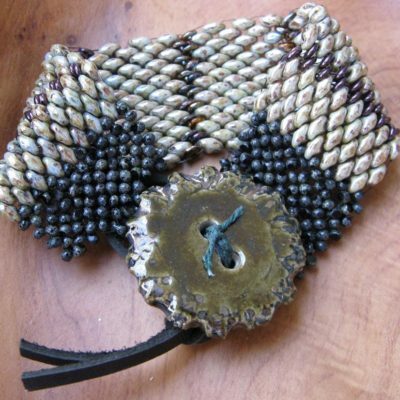 Lobster clasp closure. 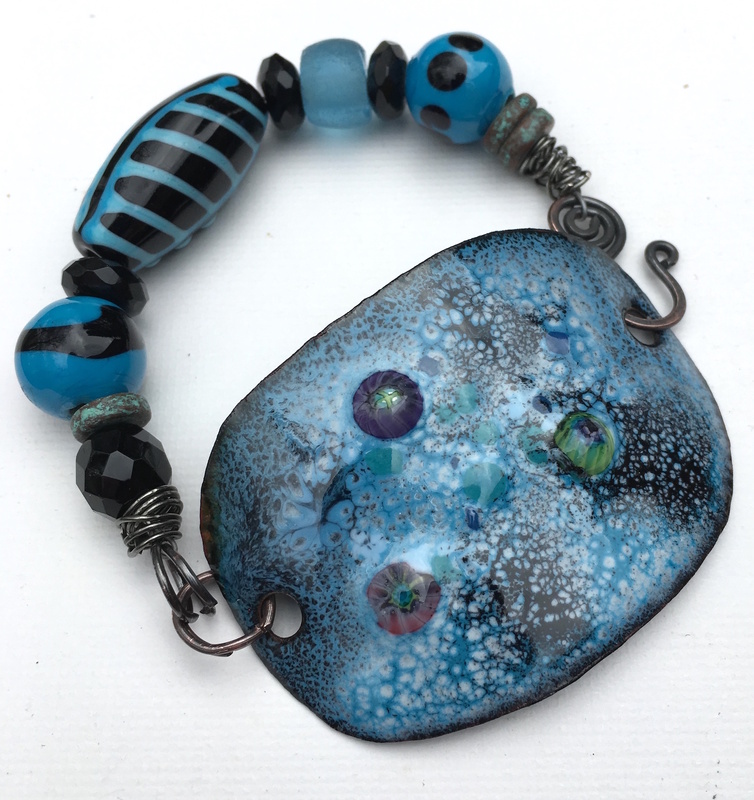 Sized to fit 7″ wrist but can be adjust with chain. 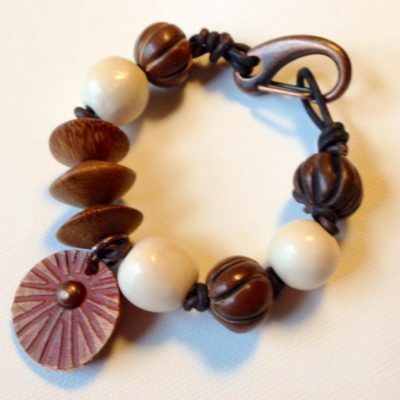 Eclectic mix of leather, wood, and clay beads with embossed leather charm and large brass lobster clasp. Original design by Linda Younkman Sized for 7 – 7 1/2″ wrist. Hand knotted bracelet with magnesite, wood and jade beads. With leather and button closure. 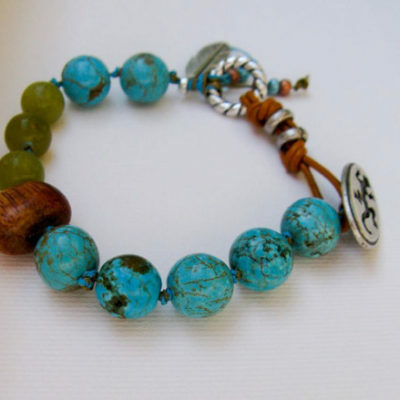 Sized to fit 7 – 7 1/2″ wrist. 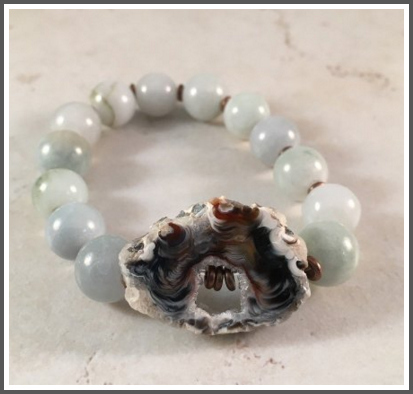 This beaded bracelet combines several shades of green and features a ceramic button from Lisa Peters Art and a loop leather clasp. 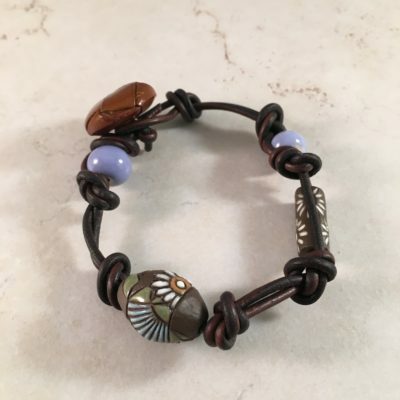 Bohemian style bracelet features ceramic beads by Golem which are hand knotted on dark brown leather with a faux leather button loop closure. 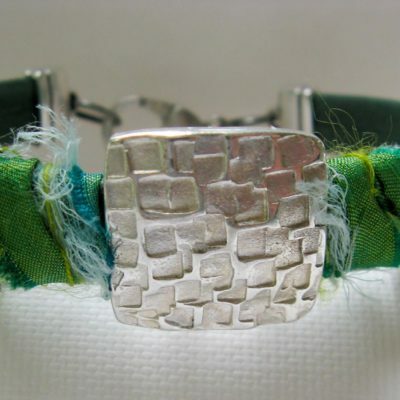 Bracelet measure 7″ and is great for that casual look with denim. 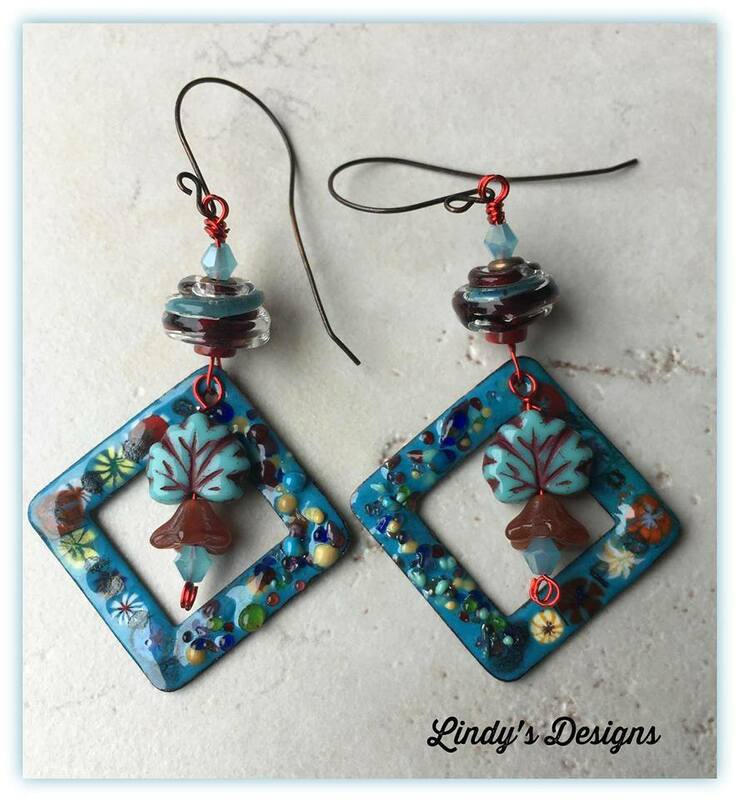 All Lindy’s Designs are gift boxed ready for gift giving.